We need YOUR help! You can make a difference in the health and well-being of communities you care about in Niagara County! Help us figure out the best ways to meet the health care needs of communities across our county. Please take a few minutes of your time to fill out our completely confidential survey. Personally identifying information is not required; responses cannot be tied back to any individual. This information will be used by the Niagara County Department of Health and local hospitals to find out what health issues are important to Niagara County residents and how to make the community a healthier place to live. * 1. 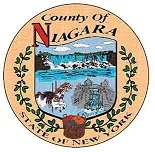 Are you a Niagara County resident?